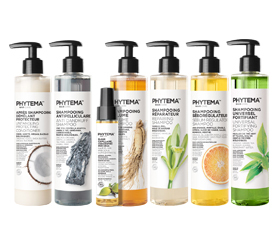 Phytema™ Laboratoires, established 20 years ago at a site between the Alps and the Lac du Bourget, was born of a meeting between a group of naturopathic formulators working on organic cosmetics, and a team of buyers from the medical industry. The company's research and development and production teams take inspiration from this haven of greenery to devise and produce innovative and environmentally friendly products. Each time you use our products, experience the intense pleasure of a true sensory voyage. We are convinced that technology and nature can happily go hand in hand. We believe that we must seek a wide range of active ingredients in the diversity of the natural world, so as to obtain finished products that offer optimal beneficial effects with minimal impact on the ecosystem and our health. Phytema™ products therefore employ highly technical formulations, while using natural resources wherever possible. It is unrealistic to believe that a single natural active ingredient can be effective for all cosmetics applications and, indeed, it is harmful to the environment to overuse any single one of its resources. Our products do not contain parabens, sulphates, mineral oils, silicones and quaternary ammonium. 2017 : In addition to our distribution network of organic and natural stores, our products are also available in more than 250 pharmacies and parapharmacies. A new management team, grounded in the medical world, was established with a view to consolidating and building on the Phytema™ fundamentals. 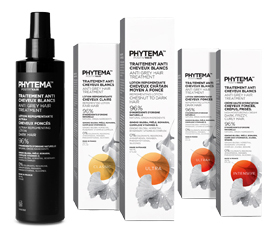 2012 :Phytema™ once again receives an Artinov innovation award, in the “Innovative process” category, for the innovative plant complex in our Blackbao organic brightening hydroquinone-free care range for black and mixed-race skin. 2003 : Phytema™ Laboratoires receives an Artinov innovation award, in the “Technology” category, for its non-polluting cosmetics. 2008 : BIO certification awarded by Bureau Veritas (Quality France) and Cosmébio for ecological and organic cosmetics. These certifications are the result of a partnership established with Joseph Fournier University and the CERMAV, a unit under the auspices of the CNRS (France's national centre for scientific research) specialising in research into plant macromolecules, which are essential in improving and innovating phytocosmetics.